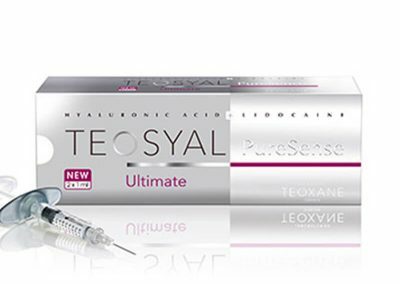 The Teosyal range is injectable dermal fillers made of non-animal origin and biodegradable hyaluronic acid, 16 references, with and without lidocaine, customized for each indication. The injections last between 6-15 months. 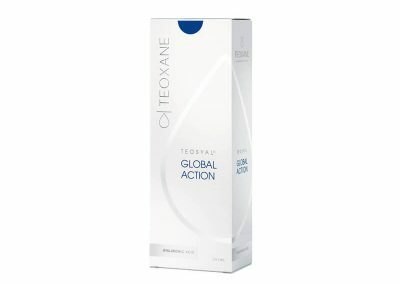 Utilizing hyaluronic acid’s unique properties, Teoxane have introduced numerous breakthroughs including Teosyal RHA, a unique formula of resilient hyaluronic acid. The Teosyal portfolio is divided into 4 families: Essentials, Enhancers, Volumizers and Specifics. 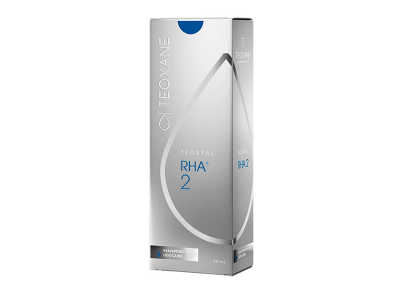 Teosyal RHA1 is based on hyaluronic and to be used specific for superficial and fine wrinkles to reduces wrinkles in mobile areas over the long term. Contains lidocaine. Teosyal RHA2 is based on hyaluronic and to be used specific for moderate wrinkles in the mid to deep wrinkles. Contains lidocaine. 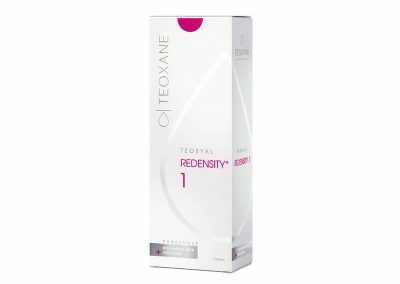 Teosyal RHA3 is based on hyaluronic and to be used specific for deep wrinkles in the deep dermis. Contains lidocaine. 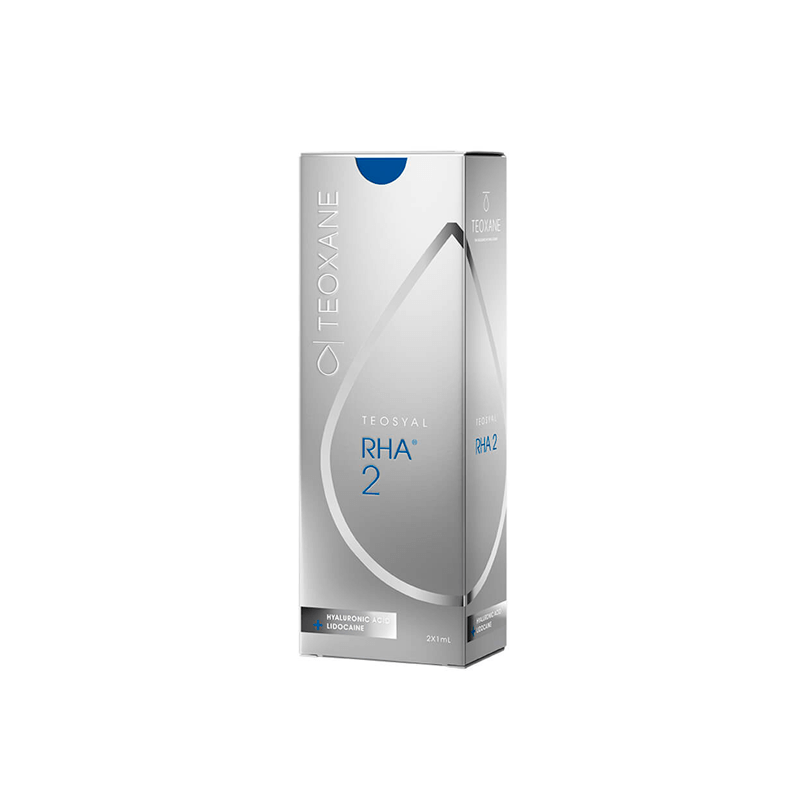 Teosyal RHA4 is based on hyaluronic and to be used specific for volume in extended areas as the deep dermis to subcutaneous. Contains lidocaine. Teosyal Deep Lines is used to treat deep nasal furrows, facial contours on cheeks and jaw line and lip argumentation. 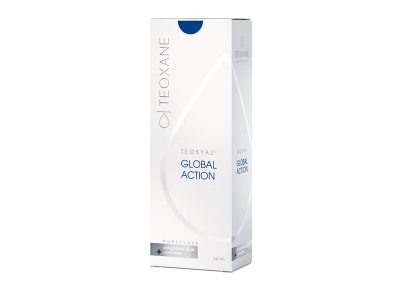 Teosyal Global Action is used for the correction of mild to moderate wrinkles, glabellar lines, nasolabial lines and periorbital and perioral areas. Teosyal Kiss is used to reshape lip contours, increasing lip volume, treating wrinkles around the mouth, supporting lip corners and rehydrating the lips. Teosyal Kiss is highly viscous and boasts high filling power for the lips. Teosyal Meso is used for rehydration of the face, neck and neckline. 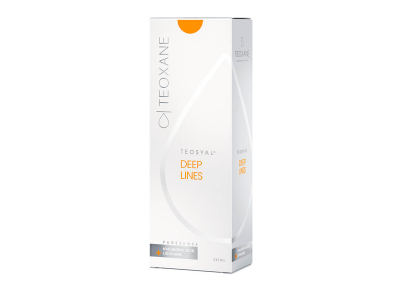 Teosyal Ultra Deep is used for volume creation for targeted areas and correction of deep wrinkles in thick skin. Teosyal Ultra Deep has a high viscoelastic profile and cohesivity. 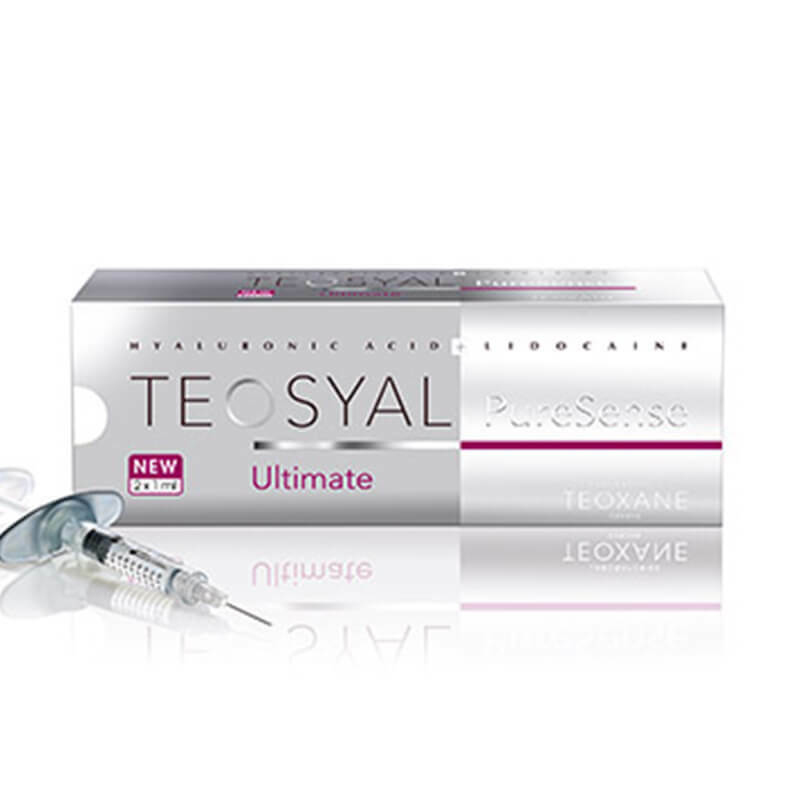 Teosyal Ultimate is used create volume in the upper cheeks, cheeks and chin and for correcting deep skin depressions. 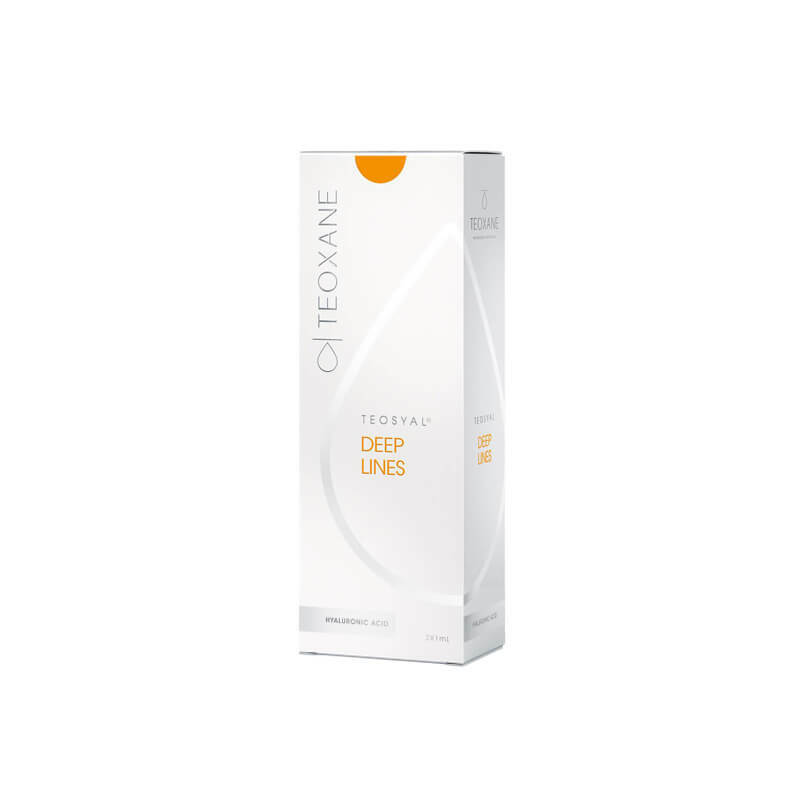 Teosyal Puresense Deep Lines is used to treat deep nasal furrows, facial contours on cheeks and jaw line and lip argumentation. Contains lidocaine. Teosyal Puresense Global Action is used for the correction of mild to moderate wrinkles, glabellar lines, nasolabial lines and periorbital and perioral areas. Contains lidocaine. Teosyal Kiss is used to reshape lip contours, increasing lip volume, treating wrinkles around the mouth, supporting lip corners and rehydrating the lips. Teosyal Kiss is highly viscous and boasts high filling power for the lips. Contains lidocaine. 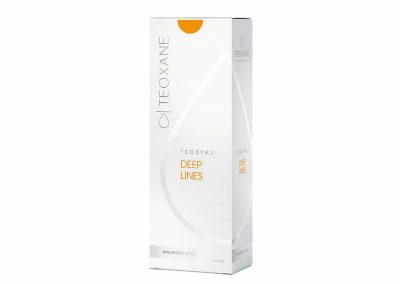 Teosyal Ultra Deep is used for volume creation for targeted areas and correction of deep wrinkles in thick skin. Teosyal Ultra Deep has a high viscoelastic profile and cohesivity. Contains lidocaine. 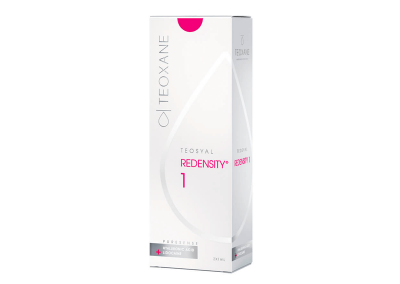 Teosyal Ultimate is used create volume in the upper cheeks, cheeks and chin and for correcting deep skin depressions. Contains lidocaine. Teosyal Puresense Redensity I is a compromise filler and mesotherapy, especially designed to nourish the skin from within and restore its density. 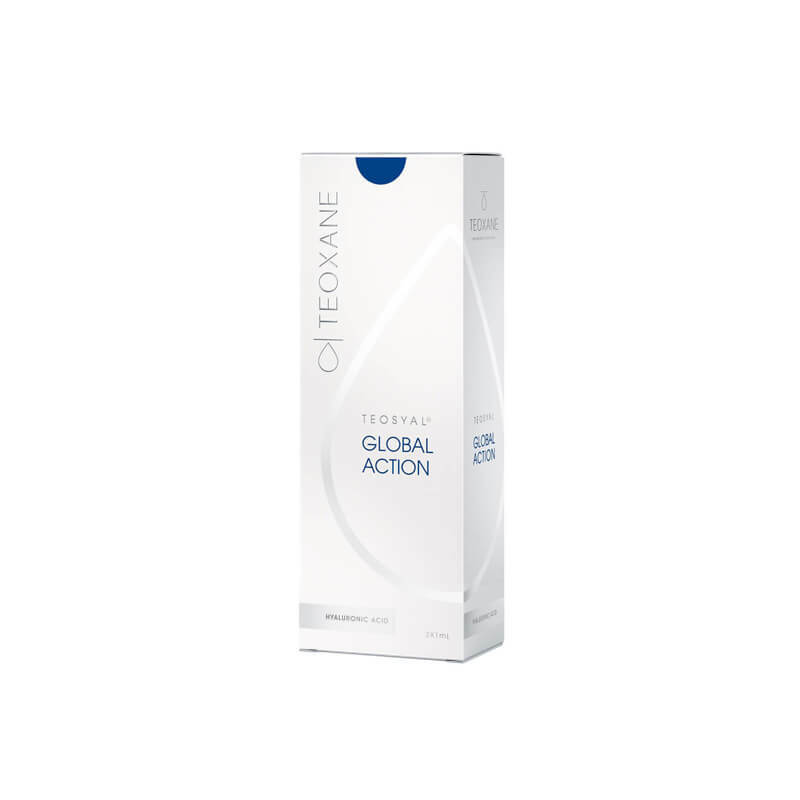 The formula based on a high concentration of hyaluronic acid and a fine selection of ingredients with a proven efficacy on the dermis. Contains lidocaine. 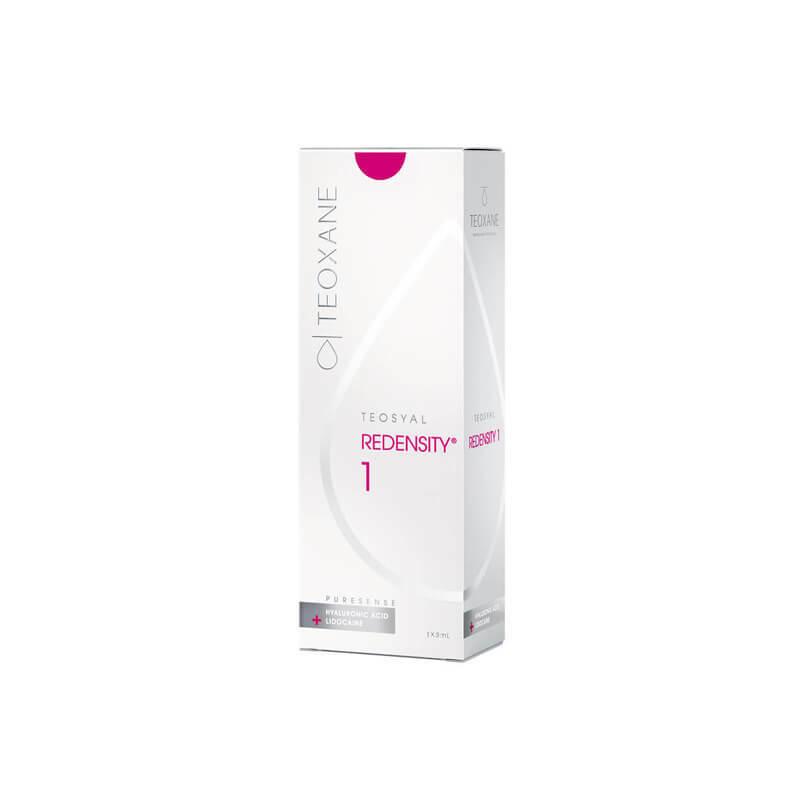 Teosyal Puresense Redensity I is a compromise filler and mesotherapy, especially designed to nourish the skin from within and restore its density. The formula based on a high concentration of hyaluronic acid and a fine selection of ingredients with a proven efficacy on the dermis. Contains lidocaine an anesthetic for comfort injection. Teosyal Puresense Redensity II is used in the treatment of under-eye circles with a subtle mix of non cross-linked and cross-linked hyaluronic acid. Its rheological profile is particularly adapted to the fragile and challenging under-eye circles area. In addition, its low hydroscopic behaviour and ideal viscoelasticity guarantee natural results and reduce the risk of swelling. Contains lidocaine.